Brighten your smile at Sharoe Green Dental Practice! Teeth whitening is one of the most popular aesthetic dental treatments available. In fact, many Dental Professionals consider teeth whitening the safest cosmetic procedure available. 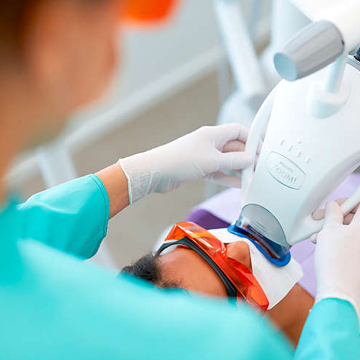 Having the treatment at Sharoe Green Dental Practice guarantees that your whitening is carried out by a qualified professional, with legal, approved whitening gel. The cost of this treatment is £395 for non-members and £316 for members (20% discount applied). This also includes a take home kit so you are able to top up and maintain your bright smile. We use 'White Beauty Dental' teeth whitening system, a worldwide market leader in tooth whitening. Safe and given with professional guidance- products bought online may have harmful properties and cause damage to your teeth and gums! The cost of this treatment is £150 for non-members and £120 for members (20% discount applied).